BANK MUAMALAT is a full-fledged Islamic Bank, commencing its operations on 1st October 1999. We are poised to pursue growth and strengthen our market presence, offering innovative, quality and competitive financial products and services. We presently serve all Malaysians at 63 branches spread all over Malaysia. Bank Muamalat is seeking result-oriented talents who are capable of contributing innovative ideas and novel approaches to our complex operations, relish challenges and possesses the drive and vision to excel. Qualified and competent Malaysians with proven achievement track records are invited to apply. 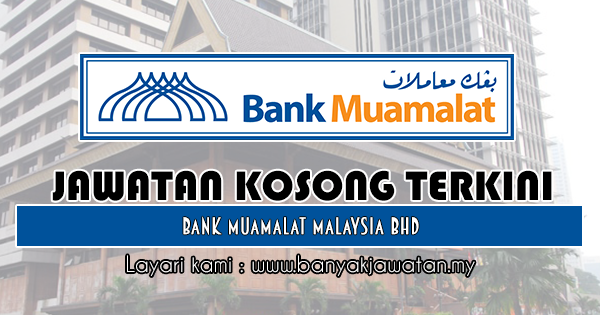 0 Response to "Jawatan Kosong di Bank Muamalat Malaysia Bhd - 8 Disember 2018"